Pulaski, a village in Oswego County within the Town of Richland, is situated between the Tug Hill Region and Lake Ontario. The firm has represented several Pulaski residents, including a recent client from the Pulaski area who sustained a concussion, whiplash, headaches, and dizziness after her vehicle was rear-ended and pushed into the vehicle ahead of it. 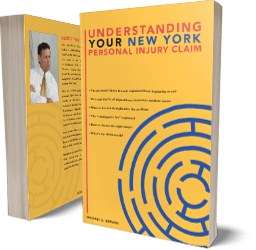 Michaels & Smolak has a reputation for handling only legitimate claim on behalf of personal injury and medical malpractice victims who have suffered significant, serious or even catastrophic injuries. The firm does not handle frivolous claims or cases where the injury is minor or short-lived. Michaels & Smolak’s lawyers often find themselves in Oswego County. They meet with their Oswego County and Pulaski clients at their homes, and they frequently appear in the Oswego County Courthouse to represent their clients. The firm has offices in Syracuse, Liverpool and Auburn. The firms’s website gives detailed bios of all its attorneys, including the honors and awards they have gained in their career of representing personal injury and medical malpractice victims through-out Central New York.